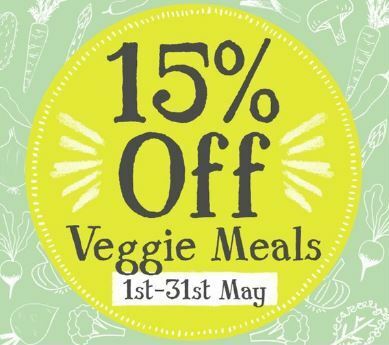 For Meat Free May we are offering 15% off all stickered Vegetarian Meals from the Cook range until 31st May. Why not pop in and try some of the new recipes including Veggie Cottage Pie, Chilli con Veggie & Satay Vegetables. Yummy and healthier than their meaty counterparts.